Do I like the cover? 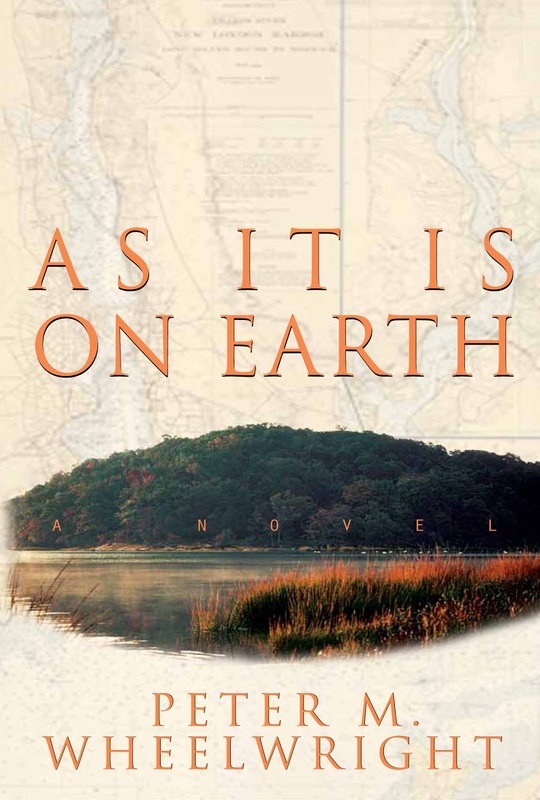 : I do -- nature and the New England landscape feature heavily in this novel. First line: There is an old story that a Bible was found in a wall cavity at a former Dominican Nunnery in San Cristobal de las Casas, State of Chiapas, Mexico. Buy, Borrow, or Avoid? : Borrow or buy if you like poetic, mystical family fiction, a strong sense of place, philosophical ruminations and mundane concerns twisted together. Why did I get this book? : The setting -- New England -- and the focus on family, legacy, love, and identity was too tempting to resist! Review: Set in the fall of 1999, the novel is narrated by Taylor Thatcher. Maine-born, Mayflower-descended, Taylor is 30, a professor at a university in Hartford, Connecticut. In the last months of 1999, Taylor's mundane life is oriented around academia -- a conference he's organizing, classes he's teaching -- while his emotional life dances back-and-forth between ignoring and embracing his family's history, familial secrets, emotional scars, and unacknowledged desires. The danger of such narrow, selfish focus is that if our hero is unappealing, the hundreds of pages spent with him can be agony. In this case, thankfully, Taylor Thatcher is an interesting, sympathetic, maddening figure. I can't say I liked him necessarily but I didn't dislike him; I found his love and hate of place and family resonant, real, inviting, and off-putting. There's good reason for Taylor's confused, complicated introspection. Taylor's younger brother, Bingham, shares his birthday, and a tangled connection -- Bin is technically his half-brother, and half-cousin, too. Taylor's mother and Bin's mother were sisters. Taylor's father, small town doctor and deacon at the local church, was a scion of the community, an alcoholic, perhaps a swinging adulterer as well. Taylor's ex-girlfriend has just returned to Hartford, pregnant and engaged, and a grad student Taylor hoped would date his brother is a woman he himself is intrigued by. A historian, Taylor's interest in the philosophical developments that shaped the study of science is reflected in his meditations on New England religiosity, the things we inherit from family, and the wounds from childhood that never heal. It takes a little bit of time to sort everyone out. It isn't that they're indistinct but with Wheelwright's prose -- Thatcher's reticence to name things -- it can be unclear what we've just learned. Wait - is she transgender? Are they sleeping together? Echoing Thatcher's own intentional obfuscation and confusion, perhaps; and once I allowed myself to just wait for the reveal, I didn't mind constantly being surprised by the revelations shared. In terms of plot, not much happens, technically, but it's Taylor's rich inner world and Wheelwright's poetic merging of grim family skeletons and philosophical ruminations that made this so delicious. Often, I thought I knew where a thread was going only to be surprised by the deft way Wheelwright knotted things up. (See my Teaser Tuesday for a lovely example of Wheelwright's writing style.) I described this to a friend as a kind of coming-of-age novel -- even though Taylor is 30, he's finally growing up, facing some hard truths, learning to let go of old hurts and secrets -- and I was surprised to find that, upon finishing this book, I missed Taylor and his family. 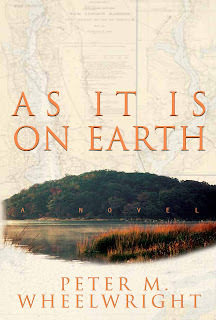 I'm thrilled to offer a signed copy of As It Is On Earth to one lucky reader! To enter, fill out this brief form. Open to US and international readers, ends 10/5. How very intriguing! I like your mention of just letting the story reveal itself in time and not getting too caught up in the "what, where and why" as you move along. That's tough for me -- constantly asking questions, trying to sort things out ahead of time -- but can often lead to the most rewarding end. I am the worst and being patient and letting a story unfold -- esp if there are family secrets -- I want it all laid out right up front. In this case, however, it was really worth having the story unfold so slowly -- because I was surprised -- I was tricked by my own assumptions -- and it was really wonderful and fascinating. It made the story richer! I know from writing workshops that people want the story and the character to unfold quickly. They want what they want when they want it. But a lot of good authors don't do that, they let the story unfold slowly, they embrace the mystery. It takes some skill to get the reader to trust that you'll unfold things in a way that satisfies, and by...page 70, I'd say, I learned that Wheelwright was going to surprise me -- in a good way -- so it *was* worth the wait! Oooh this sounds like it's right up my alley. Adding to the TBR list! I keep rereading my review and I'm afraid I'm not giving it credit for how lovely it was -- I say things like 'tangled' and 'complicated' but I mean it in the best way -- dense like chocolate cake -- and as satisfying! Very intrigued by the sound of this... love that sense of being teased along by ambiguity so you can really enjoy the surprise (having a similar experience with the one I'm reading now). And a sure sign of a good read if you miss the characters afterward. Great review, adding it to the list! This family totally stuck with me -- I had a lot of assumptions about what this white, New England, blueblood family would be like and Wheelwright constantly surprised me. Really lovely novel -- quite engrossing -- I think you'd dig it! I know the sort of character you mean, you don't like or dislike and they both get on your nerves a bit and make you interested. I love the sound of the social and family threads in this, especially with that mix of Taylor being a historian. The sentences you put in italics, I didn't see that coming from what you'd described before, sounds fascinating! Exactly -- he's quite complicated -- kind of a straight educated white guy in the best and worst ways -- and I thought I'd hate him as a narrator -- but he really won me. You know, I think it could! It's not magical realism or fantasy at all, but there's this sort of blurring of physics and science that makes it feel a bit mystical! Oh man, I have no interest in this book, but I was quite entertained by your review. Best observations imo: "I found his love and hate of place and family resonant, real, inviting, and off-putting." Isn't it funny how people and characters can be both so inviting and off-putting? Love that descripion. I also chortled when I read that bit about the lack of pronouns making it unclear what precisely had transpired at times. That's fantastic. If he was transgender, I would be much more likely to pick this up. I'm glad you got what I was trying to say -- I know it sounds contradictory but it's how I felt -- I loved him as much as I wanted to smack him sometimes! There's a small trans thread in this novel but very tertiary to the plot -- handled fine -- but mentioned waaay at the beginning in a kind of throwaway that made me wonder -- and at first, I was frustrated I wasn't just being told 'yes, this is what happened' but in the end, the slow unwrapping was nice. I love a book with good ambiance. Sometimes I think that's what I base my like or dislike of every book I read! This sounds complicated, and fascinating! I haven't read a book that has this much going on in a long time, and I love the way you've summarized it and given us such a vivid review. I need to add this one to my list, and quickly! !